My house is full of art. 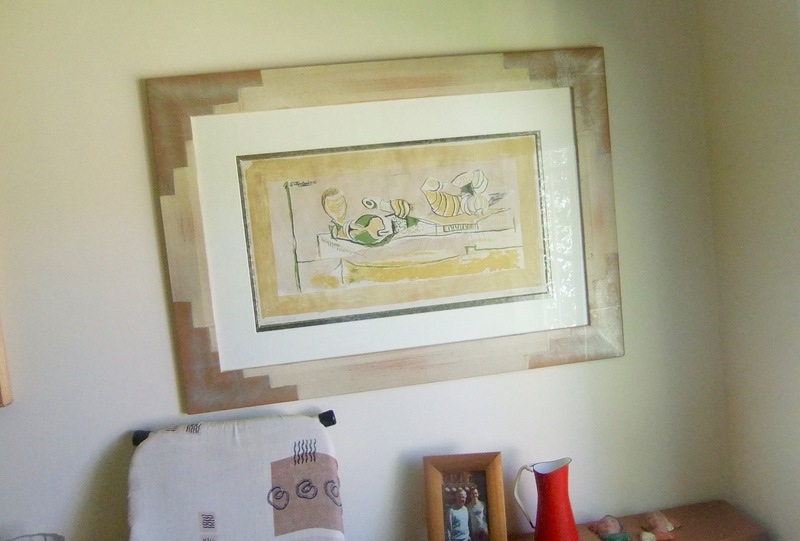 No, I’m not in any way a connoisseur, and I’ve bought very few pictures in my life time … but Ian, in his young days, in the 1940s and 1950s, pursued the then fashionable pastime of buying modern paintings and short-run lithographs, and our London home bulged with works by folk from Marie-Laurençin, Picasso, Derain and van Dongen to Russell Drysdale, Conrad Martens, Sutherland, Procktor, Cecil Beaton, Larionov and Sidney Nolan. And my contribution to the art of the house? 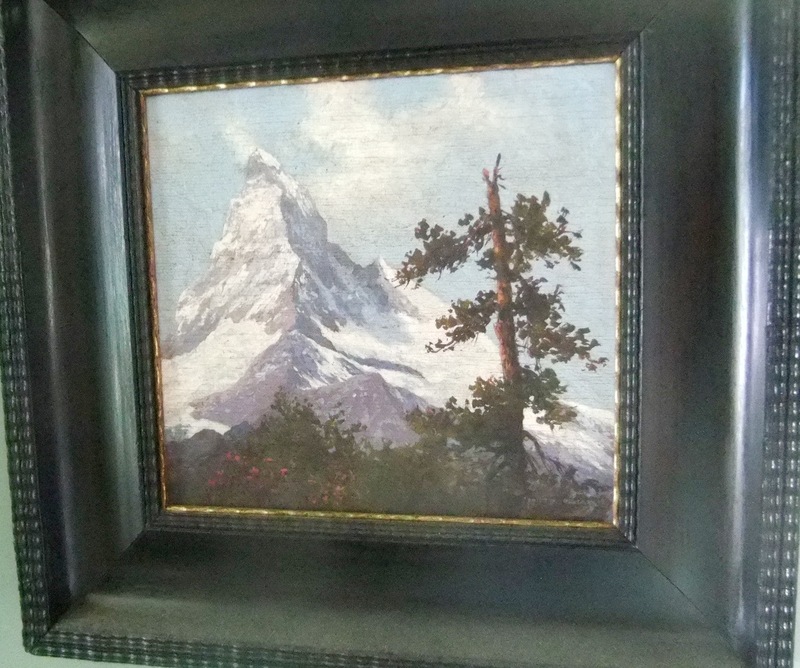 Well, if you don’t count a few Austrian bits, like the Matterhorn, inherited from my parents, very little. 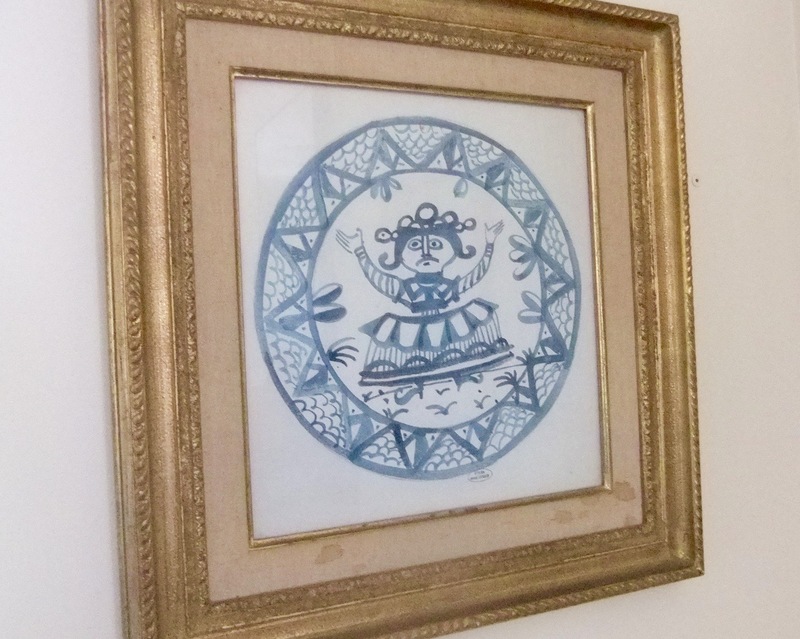 There are two sweet Ramayana pictures that I bought in Bali circa 1972 for five pounds, there is a nice local-artist collage mountain-scene which I bought to decorate our little Kiwi bolt-hole when The Collection still lived in France, and then there is my Impulse Purchase. I don’t know why, twenty years ago, we wandered in to the little second-hand shop in Tahunanui, Nelson. We were at the stage of life where we were getting rid of stuff, not buying more. But there isn’t much else to do in Tahuna except sunbathe. And this little oil painting grabbed me. I’m a frightfully bad haggler, so when the man said slyly $120, I just paid him. Ian was amazed. Only when we got back to the cottage did I wonder: what is it? Who? ‘What’ was easy. 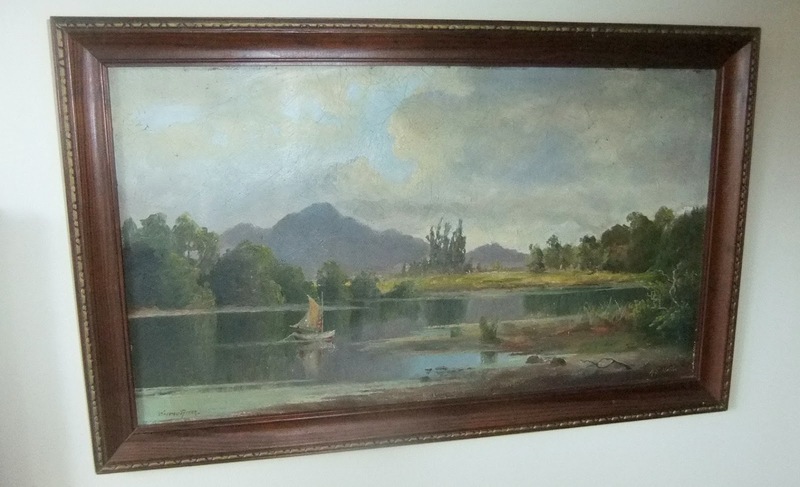 It was inscribed ‘Wairau River’. And signed. H E Heffer. German? Jewish? I wanted to find out. 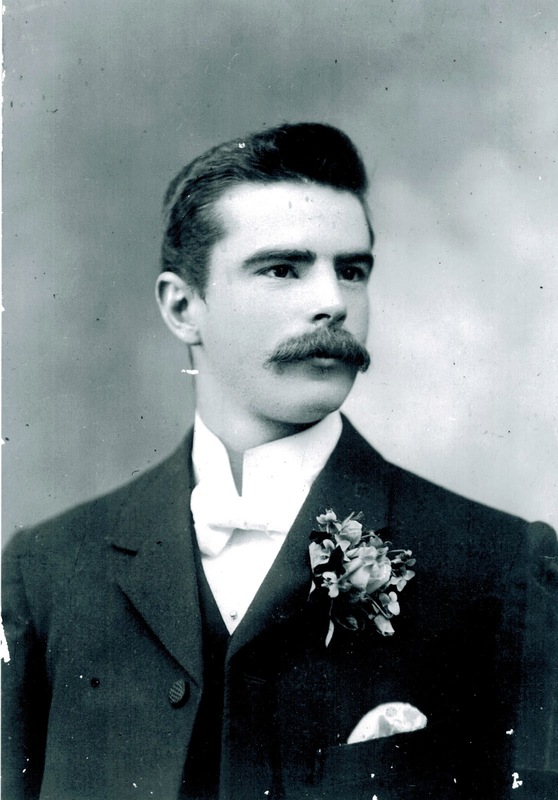 So I got in touch with my friend Peter Downes, who was working with the National/Turnbull Library in Wellington … they had never heard of him. Strange. The painting was really art-gallery quality, and New Zealand art from the turn of the century isn’t all that prolific. Well, Peter – through an amazing combination of circumstances, found a lot of the answers. Harry Edwin Heffer was born in England in 1878, and came to New Zealand on the Wave Queen with his parents and three siblings in 1880. 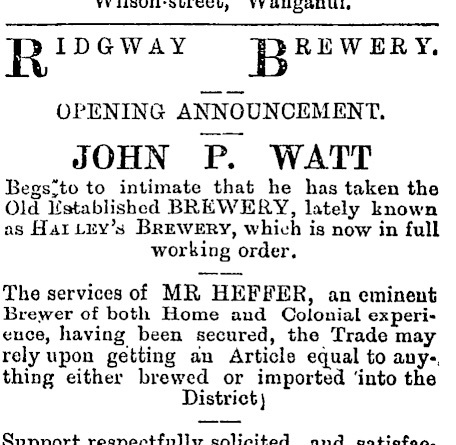 His father, Samuel John Heffer of Grantchester, Cambridgeshire was, like his father before him, a brewer by trade, and during the 1880s he worked in Wanganui, setting up, eventually, the Crown Brewery in the old Academy of Music, while his wife operated a milk business. 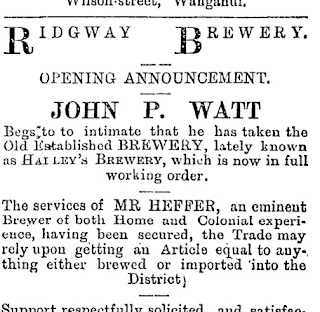 The venture went down the drain in 1890, and the family moved to 23 Hill Street, Wellington where, we are told ‘Harry started an apprenticeship with a coach-smith, wielding a 15lb sledgehammer for six days a week and being paid 7/6d’. He also began painting landscapes. 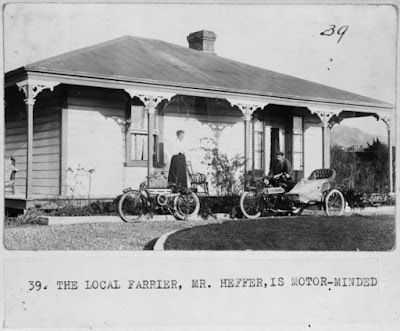 Father must have recovered from his monetary inconvenience, for in 1898 he bought 130 acres at Paraparaumu for L1,932 and the Heffers moved north. In the meanwhile, Harry had begun exhibiting at the New Zealand Academy of Fine Arts: ‘Carting Shingle in Island Bay’, ‘In Porirua Harbour’, ‘On the Waikanae River’, ‘On the Paraparaumu Road’ and – yes, 1906, ‘Wairau River’. L2.10s. My picture! Harry had a colourful life. He set up a blacksmith’s shop, married in 1902, and he and his wife became keen bikies, touring the region widely with Harry’s sketch book. 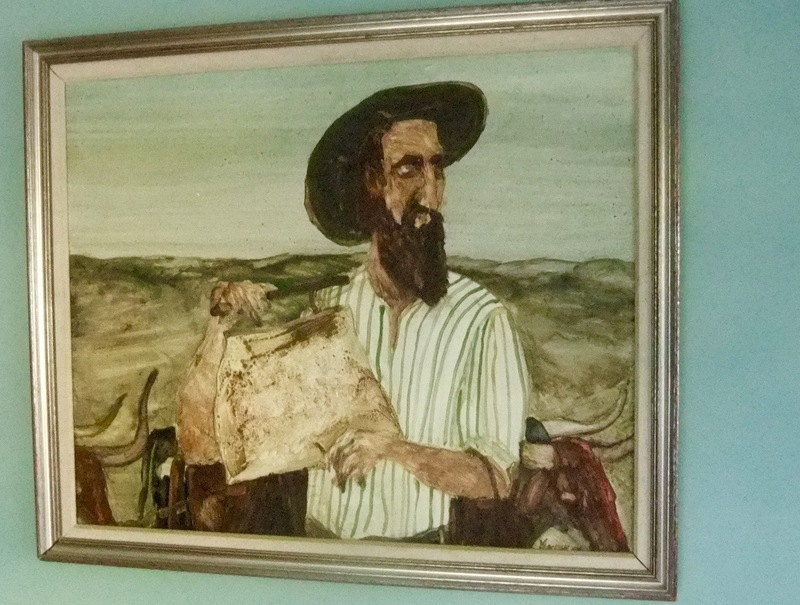 After the war, he turned to farming and the painting was laid aside, but when he retired he again picked up brush. 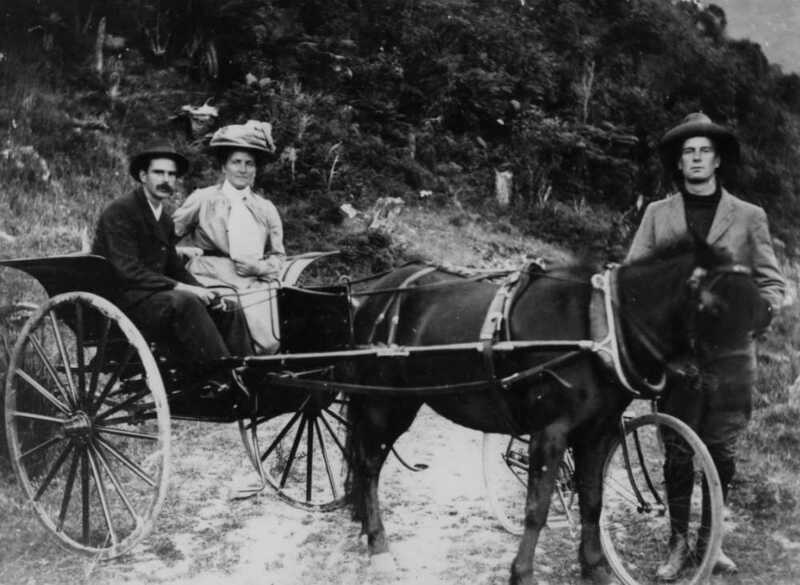 But it is his pictures of pre-war New Zealand – mostly of the southern part of the North Island and the Marlborough area, whither his parents latterly removed, which comprise the heart of his work. 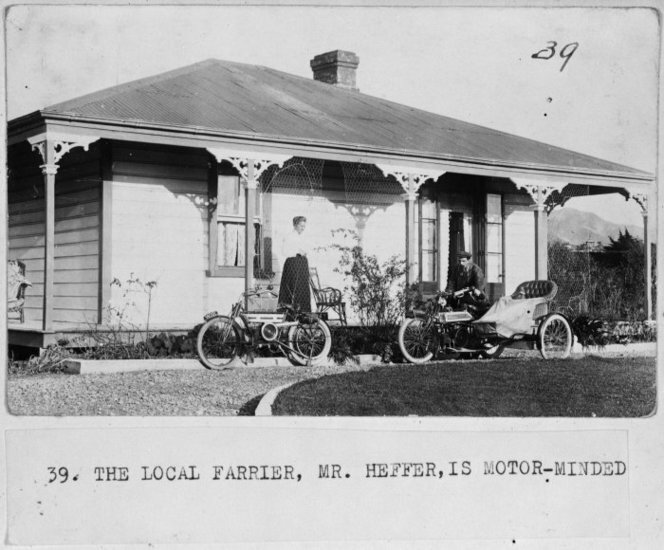 H E Heffer died at Masterton 28 December 1954, and his wife Georgina (née Howell) 2 January 1856. 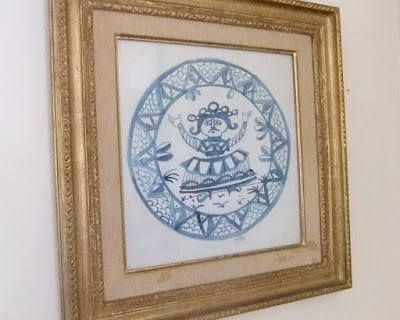 They had a daughter and a son, and when I first found the painting, Peter actually found the son, Francis Bentinck Heffer, living in Tauranga. Since then, he has died (aged 95), but he left us with the fascinating tale of the bikie blacksmith who recorded turn-of-the-century New Zealand in oils … I hope others of his works have survived, as well as mine. PS A goodish family tree of the Heffers has been posted on the web, from which I learn that Harry’s brother, Thomas, made it into Who’s Who In Australia as ‘former general manager with the Bank of NSW’ for 47 years.